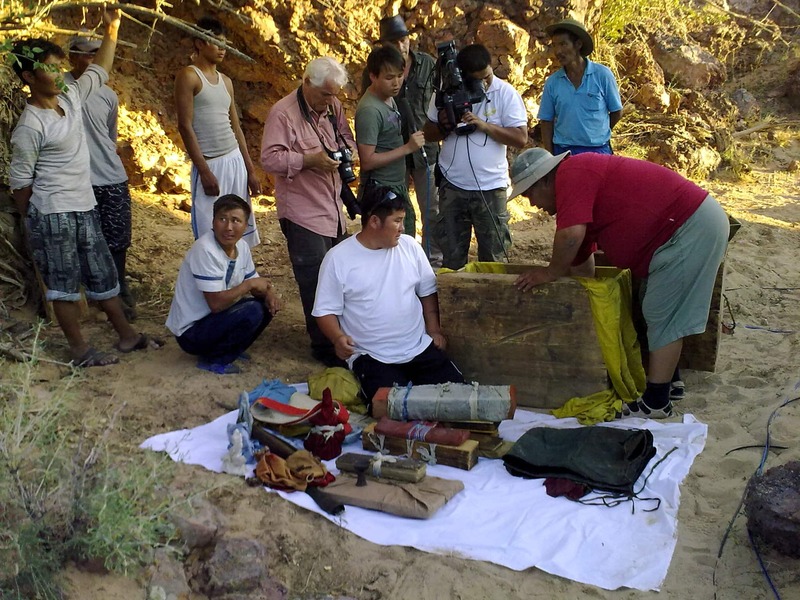 On August 1st, 2009, two of the remaining treasure boxes with the belongings of the Mongolian Saint Danzan Ravjaa were unearthed by the treasure keeper Altangerel and an Austrian-Mongolian team. The event was transmitted live via satellite from the Gobi desert to the Internet. More than 100.000 people watched the live stream and hundreds of websites and newspapers around the globe covered this epic „Gobi Treasure Hunt“ – among them the BBC and Yahoo on their cover pages as well as newspapers from Brazil to Japan.